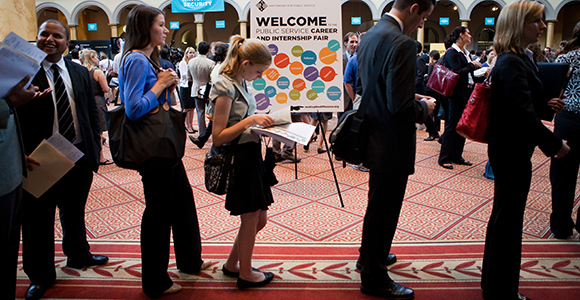 The next emerging issue: How can the Summit help create more middle-income jobs? California is creating jobs again—in almost every part of the state—but questions about whether these new jobs offer the right kinds of work, at the right salaries, in the right places continue to linger. And even more importantly, whether they will put the next generation of Californians on a path to upward mobility. While the 2016 Summit Playbook offers detailed action plans for all of its major One Million Challenges, it also introduces a new issue that will be a major focus on December 13-14: What can the Summit do to support the creation of more well-paying, middle-income jobs? Take Los Angeles, for example: Between 2010 and 2014, the region created more than 335,000 jobs—but much of this growth was in low-wage work in the service industry. With salaries well below the region’s $56,000 median income, these new jobs may offer much-needed employment, but there are legitimate concerns about how these workers will move up the economic ladder. During this same period, of course, the region’s poverty rate barely budged—standing at nearly 18 percent at the end of 2014. Today, more than 1.3 million residents in Los Angeles are deemed “severely economically depressed,” facing high poverty and unemployment rates 1.5 times the national average. The region now has among the highest rates of income inequality in the nation. The fact is, there simply aren’t enough good jobs in the state’s economy for all Californians. And this will be true even if the state can find ways to meet all of the Summit’s One Million Challenges—dramatically reducing living costs, increasing infrastructure investment, and preparing the next generation for high-skill, high-wage work. According to an analysis commissioned by the Summit, if the state’s goal were to ensure every household has access to at least one job paying wages above the poverty line, California would still have a deficit of 1.6 million jobs. With three people on average in each household, that would leave almost five million people living in poverty. What can the Summit do to help close this looming “jobs gap?” In addition to its work on the One Million Challenges, the Summit’s Infrastructure Action Team has been active on this issue for several years, exploring ideas for accelerating infrastructure investment—and the well-paying jobs that go with it. Several other Summit action teams have also focused on parts of a potential solution: The Capital Action Team has been promoting efforts to improve capital flow to regional industry clusters and entrepreneurs; the Advancing Manufacturing Action Team has worked to ensure manufacturing remains a foundation of the state’s economy; and the Regulations Action Team has sought to drive business growth through open data and by making state regulations more transparent. But there may be other, more targeted—and more comprehensive—solutions the Summit should consider. At the Summit on December 13-14, participants will join a discussion about the obstacles to middle-income job growth—and what the Summit might do to overcome them—led by Jim Gollub of James Gollub Associates, Richard Swanson of the U.S. Department of Commerce, Matt Bogoshian of REV, and Paul Granillo of the Inland Empire Economic Partnership.